I like to think of myself as someone one who is "green" and committed to sustainability. My interest was triggered in the early 1990s by a television program called "Captain Planet", which prompted my son to start asking questions about the wood I was using as a custom furniture maker. The resulting epiphany inspired me to become an active early supporter of groups such as the Woodworkers' Alliance for Rainforest Protection (WARP), which later played a key role in the formation of the Forest Stewardship Council (FSC) in 1993. In 1998 I became one of the first furniture makers in the world to become certified to FSC chain-of-custody standards (Smartwood #SW-COC-000055). Between 2000 and 2004 I served in the Board of FSC Canada in a variety of roles including Treasurer and Chair. 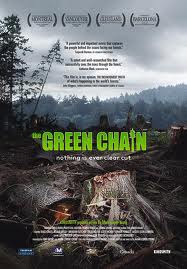 Between 2005 and 2007 I was a technical advisor for the environmental film "The Green Chain" , while also writing a chapter on sustainability for The Furniture Society's book "Focus on Materials". At home we've driven two generations of Prius hybrids. (In fact, getting the first one required convincing the salesman at the local Toyota dealership that the Prius was, in fact, one of their cars.) We recycle, compost, and use low energy bulbs. We also maintain an organic garden that yields an assortment of Heritage vegetables, which we supplement by supporting local farms. The coffee (which I drink plenty of) is Fair Trade/organic. All in all it's not a bad tally, but I also know my carbon footprint is still, on average, bigger than most in the world. 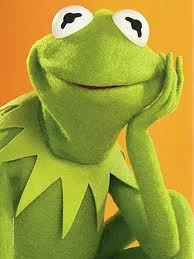 Therefore, by definition, I really don't fit the stereotype of truly being "green". 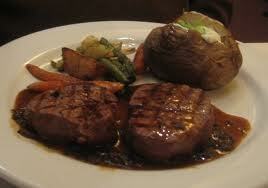 Probably my biggest sin in this regard is the fact that I eat red meat. Yep, I'm a sucker for a thick tenderloin steak grilled medium rare, Chicago-style, served with a Pinot Noir. Some will argue that I'm a hypocrite because my meat eating is helping destroy the rainforest, but that'll be covered in a subsequent post. Why am I saying all this? 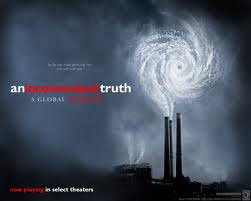 Because ever since the release of Al Gore's "Inconvenient Truth" the world's awareness of the "saving the environment" has gone parabolic. But with this has come more greenwash BS than I could ever hope to shake a stick at. This transformation has shifted many paradigms, including my own, and I've decided to share my views to show a more balanced perspective. For starters, are meat eaters destroying the rainforest? You betcha. But so are the vegetarians. This will be covered in the post: "Vegans are Destroying the Rainforest". Another popular crusade has been to stop global warming by getting away from fossil fuels. Great idea, but the simple solutions put forward by the well intended have ended up creating unanticipated problems. These will be discussed in: "Daryl Hannah and Bio-Diesel are Destroying Rainforests". These two posts will be followed by another intended to give the big picture/macro-economic view of the real problem. That post will be called "The FRDs of Mass Rainforest Destruction". (You'll laugh when you find out what the FRDs are). Last but not least, the "Big Green Al" post. 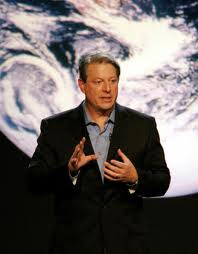 Al Gore's net worth has grow from around $1 million in 2000 to the point where he's now on the verge of becoming the world's first green billionaire. All this in just over a decade's time. Yep, Big Al knows "green", but his net worth is just warming up. (Oh, good pun!). Being "green" is not always what it seems.